A married couple, known for their steadfast faith in Sñr. Sto. Niño, is just living a simple life. The wife is extremely religious, that she used to bring her mother’s clothes and wipe it to the image of Holy Child for the fast recovery of her sick mother and indeed, He answered the faithful daughter’s prayers. On the other hand, the husband is a busy man. Most of his time in the past was spent in law school. When he became a lawyer in 1984, he got busier in his profession and in building up his career—lawyer, professor, and eventually, becoming a university vice-president. 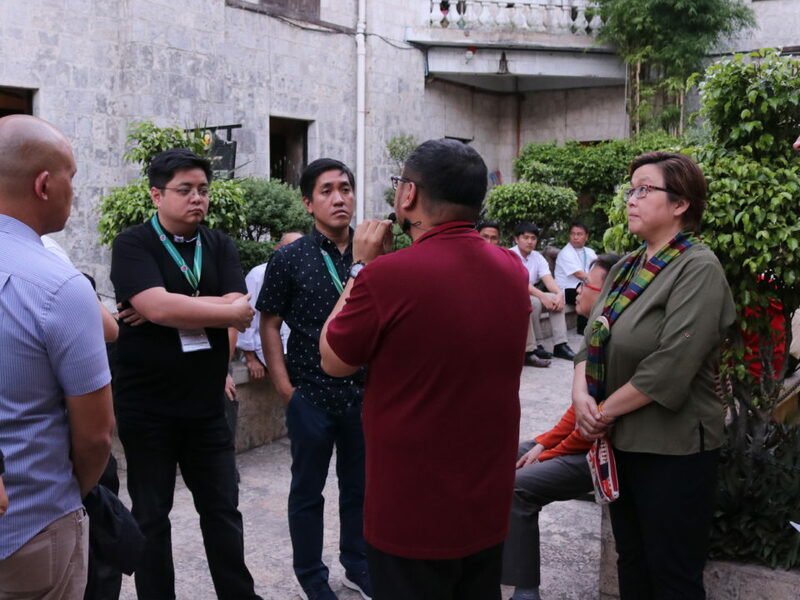 Despite his hectic schedule, he still tries his best to serve the church, most of the time as a lector or commentator in the novena masses of Sto. Niño as it was only what his time permits. The couple also used to serve in the choir; a lovely couple indeed. However, the 5th day of August 1993 was a turning point for them. The husband shared how certain he is that this moment was a manifestation of the Holy Child’s presence in their lives. 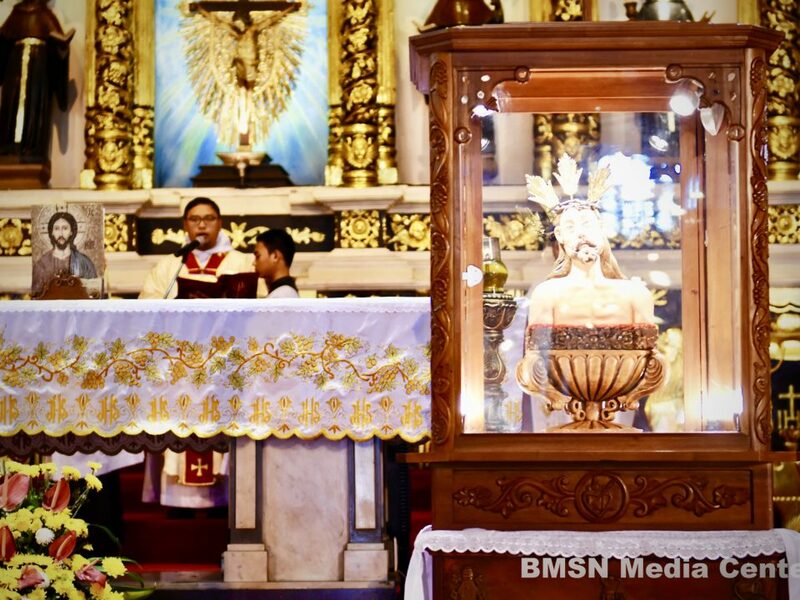 As one of the lectors during the holy masses, he constantly receives an invitation from lay ministers in the Basilica Minore del Santo Niño de Cebu (BMSN) to join them and he constantly declines the invitation, using his busy schedule as a reason. This went on for a decade until the said day came. He became seriously ill that he could barely move his body but the hospital could not even explain what was wrong for his laboratory exam results were perfectly normal. A week passed and he was then able to move; but, it was little by little. They always visit the Holy Child for healing and everyone they know, especially from the church, prayed for his recovery. He did recover, but it was taking a lot of time. When he was finally able to stand, walk, and move his body slowly after a few months, the same lay ministers who always invite him to their group asked him to join just like how it used to in the previous years. This time, he finally accepted the invitation. Thus, in 1995, he started his service as a lay minister; and from then, he also recovered quickly from the unexplained condition his body suffered from. “I truly believe that it was the Sñr. Sto. Niño,” he explained how his “No” turned to a “Yes” and how this response to the call of service helped his fast recovery. 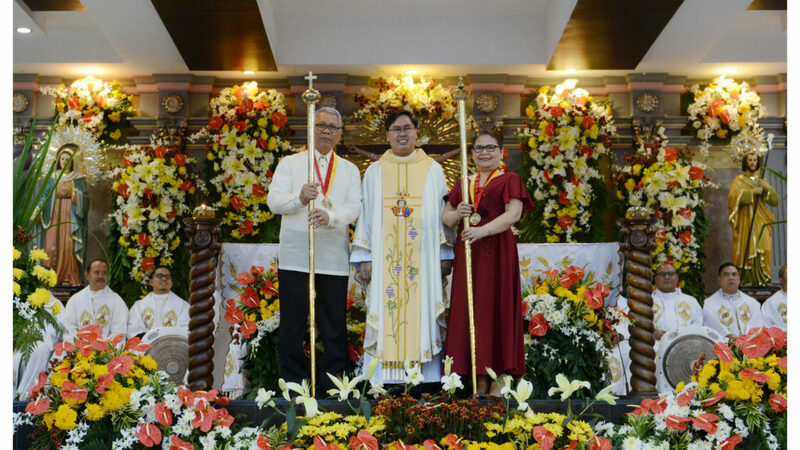 This is the story of the faith of this year’s Fiesta Señor Hermano and Hermana Mayor—Atty. Paulino A. Yabao and his wife, Mrs. Dioscora C. Yabao. They are a parent of three children namely: Roland, Katherine, and Francis. Atty. Yabao is an active member of Extraordinary Minister of Holy Communion of the Basilica Minore del Sto. Niño de Cebu. If you meet them personally, most, if not all, would just see them as an ordinary family that you see in church to hear the mass. But they were nominated and chosen because of how they set as a good Christian family. “Si Atty. Paul ug iyang misis, ilang presensya jud diri sa Basilica. And another thing, nganong sila ang gipili namo [kay] sa ilahang service (Atty. Paul and his wife, their presence [is really felt] in the Basilica. And another thing, why we chose them is because of their service. ),” Fr. Pacifico Nohara, Jr., OSA said as he shared how much Atty. 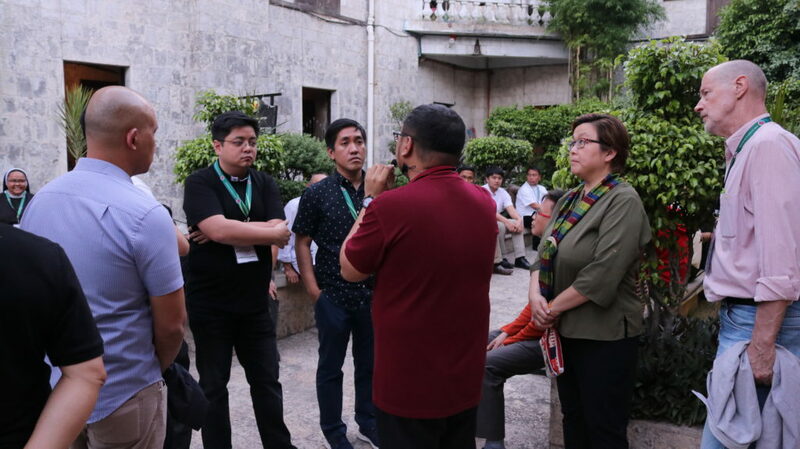 Paul spares his time and serves the church especially every Fiesta Señor not only as a lay minister, but as well as in few legal matters to which the Augustinian friars deeply appreciate. Fr. Jun also shared how well the Yabao parents brought their children up which is one of the main reasons they were chosen as the Hermano-Hermana 2019. “Sa ilang family, dili ka makasulti nga dili sila angayan [nga mahimong Hermano-Hermana] kay religious ta’s naa jud sa moral nga kinabuhi. 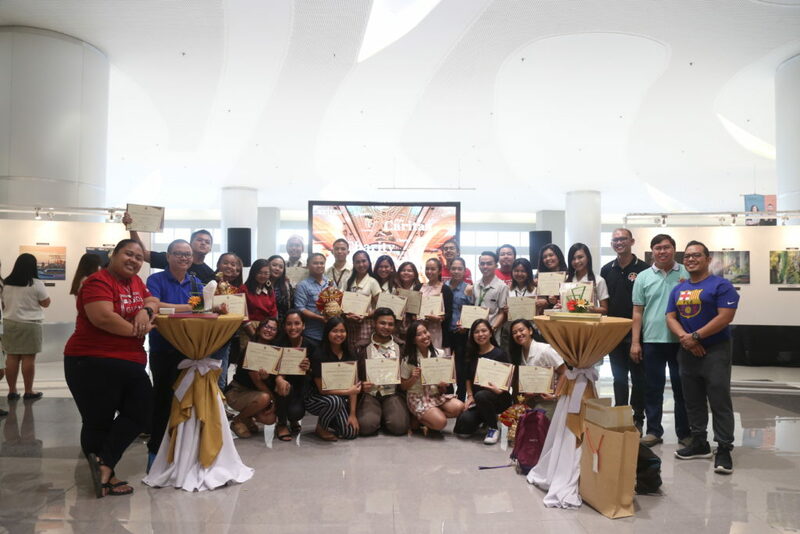 Then, makaingon bitaw ta’g ila jud gigiyahan [ang ilang mga anak] (In their family, you really cannot say that they are not deserving [to become Hermano-Hermana] because they are religious and they live a moral life. Then, we can really say that they guided [their children]. ),” he further explained. When the married couple received the news of the nomination, they were surprised because who would have nominated an average couple. They were grateful with the news but at the same time, they were not confident to be chosen, considering how many other nominees could qualify and also do a great work as Hermano-Hermana. Nonetheless, when Atty. Paul and his wife were chosen, they feel extremely grateful and privileged. To be representatives of the devotees is a challenge, living up to the ideals and virtues of Sto. Niño and being expected to be Christ-like. But chosen or not, the family still have that same devotion within them and wholeheartedly receives this challenge. They would be doing their best to continue the mission of the previous Hermano-Hermana in propagating the faith of the Sto. Niño. “Of course, this is an opportunity for us to share more and simply share ourselves. 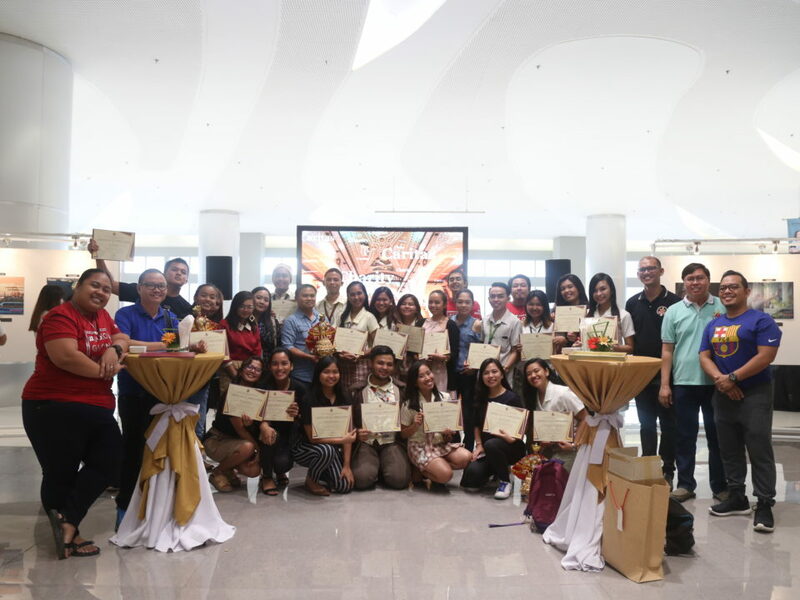 Share more commitment, to share whatever we have,” Atty. Paul expressed as he talked about the duties as the Hermano. With this year’s theme Sto. Niño: Guide of God’s Children to Humility and Service, Atty. and Mrs. Yabao truly deserve to become the Hermano and Hermana as they have unmistakably guided and raised their children with the right values in life; that even when their children are now professionals and two of them are living abroad, they still live the same values taught by their parents. To raise children in the right and/or Christian way is a huge task, but as long as the children witness how their parents themselves live the Christian way, then it will become easier for the young ones to live the same. As a message to all parents, Atty. Paul hopes that parents will listen and give opportunity to their children to make decisions for themselves. “Be humble enough to realize that children are becoming better—more opinionated, more enlightened, more modern way of thinking,” he advised. Parents, as human as they are, do not know everything. Knowing and accepting this fact is one of the humblest thing a parent can show and teach to their children. And if one learns the virtue of humility, that is when the virtue of service starts to grow. One cannot be of service to others if one cannot learn to be humble first; to serve others without asking something in return. 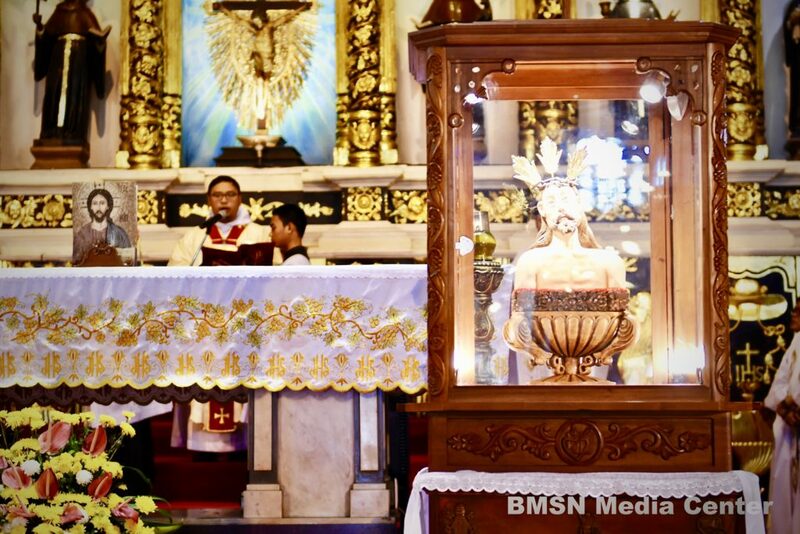 In the celebration of the Fiesta Señor 2019, the Hermano asks the devotees to keep the faith but to also realize that Sto. Niño is going to grow. Being a devotee to the Holy Child inspires us to be child-like, to depend on and run to the Almighty Father in difficult times. But as we continue the devotion, Atty. Paul reminds to grow and be ready to sacrifice because being a Christian does not mean that we always enjoy life like a child but we are called to follow Jesus. “It’s difficult to accept the challenges [in life] if we aren’t ready to grow,” he concluded.